Indonesia, one of the Southeast Asia countries, holds all beauty natures with diverse uniqueness. 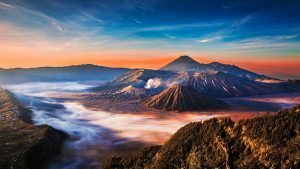 Meanwhile, it seems like all natural resources exists in Indonesia from its beautiful islands, beaches, seas, mountains, and even more natural phenomena. Meanwhile, Indonesia has great, beautiful, and challenging hiking tracks in dozens mountain. Indeed, there are thousands tourists love to try the mountain tracks in all over Indonesia, whether domestic or foreign tourists. It brings the best natural mountains in Indonesia that you should see soon. Meanwhile, Java island is one of the biggest island in Indonesia. Indeed, Java island is also the top 13th world’s largest island with 160 million population. Indeed, Java island has mountain and highlands with amazing scenery. Also, there are some active volcanoes too. In the end, you may want to try hiking through Java island mountain someday. Bromo mountain is located in Malang district, East Java. 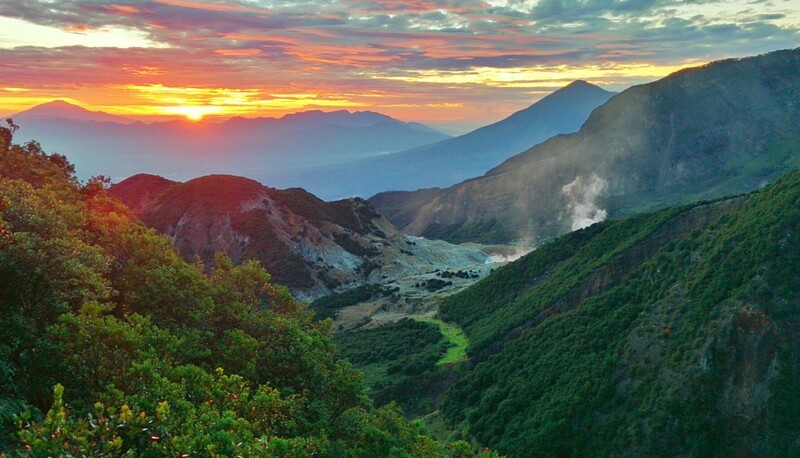 Meanwhile, Bromo is an active volcano with 2393 m dpl height, which is perfectly beautiful. The name “Bromo” is origin from “Brahma” who is the God from Hindu as Hindu is the most belief religion in East Java population. Indeed, Bromo is absolutely beautiful. 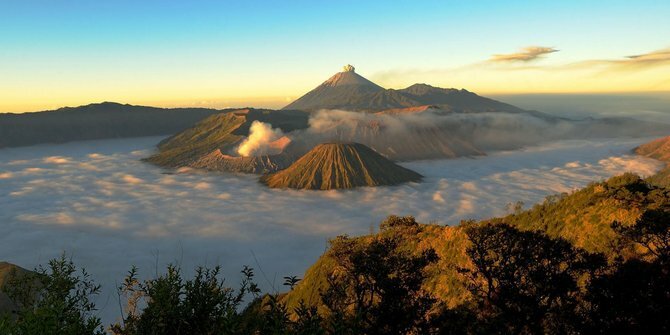 There is “View Point” spot, which is the best spot to see Bromo complete scenery from the top. Meanwhile, the best time to come to the View Point is around 3 am to see sunrise. You will be surprised to see how beautiful that is to see the shine, the miracle of the sun right every second until the sun is completely risen up. Also, there are some other beautiful spots to visit such as Pananjakan, Seruni Point, Bukit Cinta, Bukit Kingkong dan Puncak B29 Bromo. Then, there is Bromo crater with diameter around 800 meters. This crater is absolutely beautiful and unique. It feels like you are in Arabian desert. Indeed, visitors can ride the hours to reach the crater, then take the 250 steps of the stairs. The Bromo crates is also so much beautiful. Then, you can also walk to Bromo savanna or people love to call it with Teletubbies hill as it looks like that. As a result, Bromo mountain is completely beautiful. Ijen crater is a lake on Ijen mountain. Thus, it has super beautiful scenery from the top and all sides. The lake is bluish and greenish, in the morning it reaches 10 to 2 celcius which is almost so cold. Indeed, Ijin is the world’s higest acid level crater that it can cook human or anything easily. 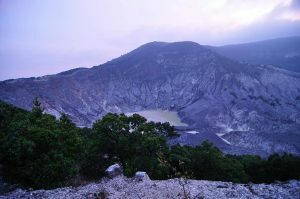 Ijen crater includes to natur preserve Wijen larges about 2560 hectare. Also, the fog and brimstone smells like a perfect wonderland. That is why, Ijen crater is so popular in the world. 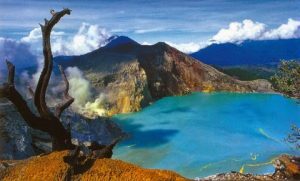 Ijen crater has been visited by more that 160 hundred thousands visitor and the number is growing through Ijen crater popularity. Indeed, you can see beautiful special flowers growing in along the crater such as Edelweiss flower. Then, watch the crater from the top of the mountain beneath the perfect blue sky. In the morning, you feel blessed to see the line of the trees, bird flying, flowers dancing, and flushing of the sunrise. Also, the most special scene that you can see in Ijen crater is Blue Fire phenomena. Meanwhile, there are only two Blue Fire in the world, which are in Islandia and Ijen. Indonesia trekking, Merbabu is the type of Strato volcano located in Magelang district in geographical 7.5° latitude and 110.04° East. Merbabu’s last erupted was in 1797 and it’s peak at an altitude of 3,145 meters above sea level. Meanwhile, Merbabu is such a beautiful mountain with its great view of mountain and trees. Thus, Merbabu is an inactive volcano, so it’s safe to hike in. Then, Merbabu has tree peaks wich are Trianggulasi, Kentengsongo and Syarif peak. Indeed, in good whether you can see all clear sky and blue mountain looking so amazing from its top. Merbabu has three hiking trails which are Selo, Cunthel, and Wekas. we can choose where we want to start hiking in, all of them are challenging hiking trails. Also. Merbabu has its own meadow which is so beautiful with Edelweiss flowers along the view. Likewise, Merbabu it’s absolutely beautiful, especially when you see it from the top of the mountain. You can also see the view of another mountain such as Sindoro, Sumbing, and Slamet mountain. All is amazing. The air is so fresh and it is actually perfect for your holiday where you can bless your eyes to see beautiful nature like Merbabu. Moreover, the best view is the sunrise. You can hike at 3 am or so to see the perfect sunrise. Well, it is so beautiful. 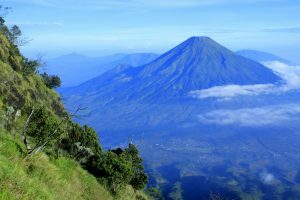 Mount Semeru is the highest mountain in Java island with its height 3.676 meters above sea level and it’s also the third highest volcano in Indonesia. Meanwhile, the peak of Semeru is called Mahemeru which is so popular mostly after a movie scene from Indonesian local film maker exploded the beauty of Mahemeru. Indeed, Semeru mountain has three beautiful lakes or it’s called Ranu. which are Ranu Pani, Ranu Regulo, Ranu Darungan, and Ranu Kumbolo. Thus, Semeru is perfectly beautiful with wild trees growing along like reeds, lavender, and edelweiss. Also, there are fauna lives in the mountain forests such as panthers, deer, antelope, civet, and more. Meanwhile, the best time to hike in Semeru mountain is during dry season June to September to get a perfect scene and safe trails. It is not allowed to hike during rain season December to May as it may be landslides or hurricane. Thus, you need to prepare so well before you decide to hike the Semeru as it has challenging tracks. 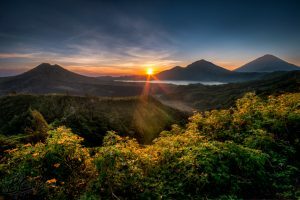 It normally needs about three days to reach the Mahemeru peak, also there are many mysterious stories on Semeru mountain. In the end, Mahemeru is one of the blessing mountain in Indonesia. Mount Kelud is an active volcano. It is located in East Java, in frontier districts of Kediri, Blitar, and Malang. Kelud mountain last erupted on 13 February 2014, so you may be careful before you decide to hike in. You have to know the whether and its mountain condition before you hike. To reach its mountain, there is Mysterious Road to follow. Meanwhile, it’s called Mysterious Road as the car keeps driving even when you turn off the machine. Thus, the Gajahmungkur peak is the main charm of this mountain, where it fulls of lights during night sky. Also, you can challenge yourself to play flying fox at the top. Also, it has hot water springs that you can enjoy. As a result, Kelud mountain has a very beautiful scene with its fresh air and natural phenomena of mountain. There are many mountain in Indonesia to hike and climb. 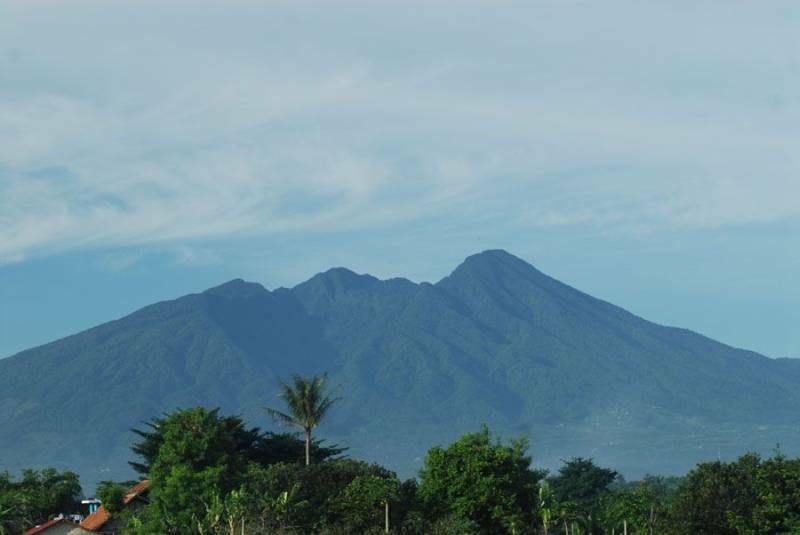 Gede mountain is located in Java island, in three districts which are Bogor, Sukabumi, and Cianjur. Meanwhile, Gede Pangrango mountain has not dangerous tracks to reach. It’s pretty safe trails. Thus, it has the beauty of blue lake in 1.575 above sea level, or just about 1.5 kilos walking from the Cibodas entrance. Blue lake is perfectly beautiful and this is the spot where the hikers can take a rest for a little while before they reach the peak. Also, the lake is so refreshing, full of peace, and pretty cool. Meanwhile, on your way to the peak, you will be surprised by the beauty of Cibereum waterfall. The waterfall is located in 1.675 meters above sea level with its height about 50 meters. Thus, it pleases you to stay and enjoys every drop of waterfall. Moreover, here is water springs that you will love on Gede Pangrango tracks. Nevertheless, you cannot soak yourself on hot springs cause it’s pretty danger. In the end, there is Suryakencana Square where you can enjoy Edelweiss flowers. So, you may someday visit Gede Pangrango mountain and you will fall in love with every step of it. It is so beautiful. Trekking in Indonesia is always challenging. Halimun mountain includes in West Java National Garden. Thus, the height peak of Halimun is 1.929 meters above sea level. Meanwhile, this mountain is usually visited by people in order to research or another natural cruising activities. Yet, you can also visit this beautiful mountain to enjoy the tea plantations, canopy trail, river, and waterfall. Meanwhile, there are seven beautiful waterfalls that you may visit in one full day trip. They are Cihurang, Ngumpet 1, Pangeran, Ngumpet 2, Geblug, Sawer, Seribu, Muara Herang, and Cigamea waterfalls. As a result, Halimun mountain has such a beautiful nature with its blue mountain, fresh air, and adorable waterfalls. 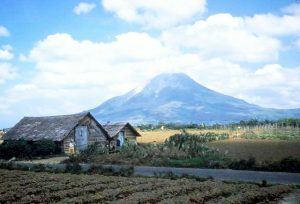 Salak is volcano in West Java, Sukabumi district. It has height 2211 meters above sea level. Meanwhile, Salak mountain has vary mysterious stories behind it, yet it is still beautiful mountain to visit. Thus, Salak mountain has two peaks, which are The First Peak at 2.211 above sea level and The Second Peak at 2.180 above sea level. Unlike the others of mountains, Salak has easy tracks to hike. You just walk under the rocks, streets, pavements, and so on until you find the forest track. On this forest track, the trail is a bit creepy with high trees, big roots, dark, and a little bit far track. Meanwhile, everything about Slak mountain is mystically beautiful. At night, you can see the sky full of stars. That is even more beautiful than the song. Also, at morning you will feel wonderstruck by its sunrise view. In the end, you can ask your best friends to hike together in Salak mountain. So, let’s go hiking in Indonesia. 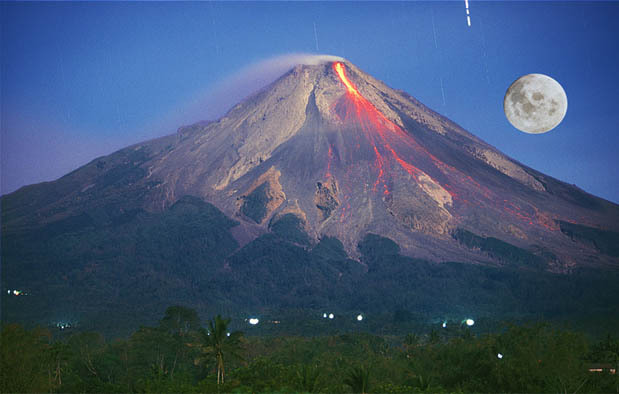 Merapi is an active volcano in Centre of Java. Thus, it has height 2930 meters above sea level. Meanwhile, for the real climber this mountain is super mystical. As it has many mysterious story, this mountain is also the most active volcano in Indonesia. Merapi last erupted is in 2010 where many people dead there. Also, the five year cycle of eruptions must be warned. Unlike another mountain with beautiful blue fresh view, Merapi is actually so dry and drought. Along the mountain, all you can see is rocks and plantation. It has no Edelweiss yard or another green trees. Yet, the fantastic view is in Bubrah Market where you can see volcanic rocks right under the peak. Also, there is no water source here, so you must be prepare about your own logistics. Moreover, a few terms ago there was Garuda peak as the best view of Merapi. Nevertheless, the Garuda peak has gone by eruption in 2010. One more thing that you need to know about Merapi is hiking to its main peak it’s illegal. It is danger track and the trail is over in Bubrah Market. Gunung Sumbing is the third highest mountain Central Java after Semeru and Slamet mountain. Sumbing mountain is located in Magelang district. Meanwhile, Sumbing mountain has height 3371 meters above the sea level and its last erupted is in 1730. 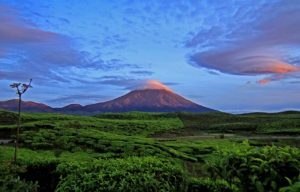 Meanwhile, there are four alternative tracks to reach the peak of Sumbing mountain, which are Cepit Parakan, Bogowongso, Garung Village, and Kaliangkrik. Thus, you will visit many posts to take a rest and meet another climbers. Once you reach the peak, you will all be super happy with the scene. There is super beautiful scene at the top of the peak. There are blue sky, fresh air, tress, flowers, soft fog, and perfect beauty. Mostly, during sunset you will capture it more beautiful, and sunrise too. 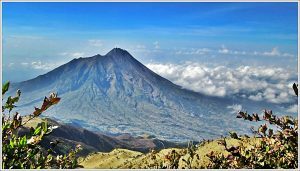 Indeed, to hike Sumbing mountain you need to prepare a healthy body because its track is steep and quite danger. As a result, Sumbing mountain is absolutely amazing. Tangkuban Perahu is quite popular as holiday destination in Bandung, West Java. Indeed, Tangkuban Perahu mountain has its height 2.084 meters above sea level with temperature about 17 Celsius at noon and extreme 2 Celsius cold temperature during night. Thus, Tangkuban Perahu is quite poplar by its legend story of local Javanese local community. Meanwhile, Tangkuban Perahu is one of active volcano, that is why its under supervision of housing forestry. Also, it has active craters with sulfur gas and other sources of hot water at the foot of the mountain. Meanwhile, Tangkuban Perahu has beautiful scene as well as its legendary. This beauty scenery is usually spotted as photography background such as for wedding photo, film, and advertising. Indeed, it has three beautiful craters which are Ratu, Domas, and Upas crater. 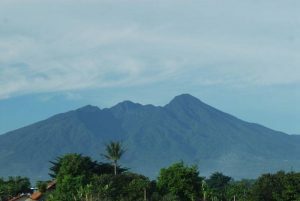 Slamet Mountain is located in Central of Java, between five districts which are Brebes, Banyumas, Purbalingga, Tegal, and Pemalang. Indeed, Slamet mountain has challenging tracks yet it is so popular for the climbers to hike. 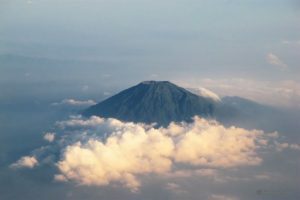 Thus, Slamet is the most active volcano in Java island. It has been erupted for 42 times with the last erupted was in 12 March 2014. Also, Slamet is the highest mountain in Central of Java with the height is 3.428 above the sea level. Meanwhile, the tracks to reach Slamet peak is challenging because there is no water source and the fog is too thick. Then, it is quite a danger track, but its scenery is so beautiful. Meanwhile, Slamet mountain has ecological wealth with vary forest such as Montana, Dipterokarp Atas, Dipterokarp Hills, and Ericaceous forest. In the end, Slamet is such a beautiful mountain. 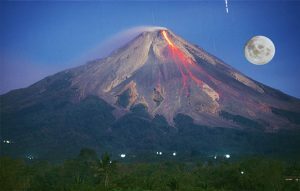 Krakatau mointain is located in Lampung, South Sumtera. Meanwhile, Krakatau was the history of the world’s worst erupted in 1883. The erupted killed about 36.000 people and its sound boomed till 4600 kilometers. The volcanic rocks even shouted 80 kilometers far away to Sri Lanka, India, Pakistan, Australia, and New Zealand. Then, Anak Krakatau (Krakatau Kid) mountain appeared 40 years then but we hope Anak Krakatau will sleep longer cause it’s eruption can be as worst as it was before. 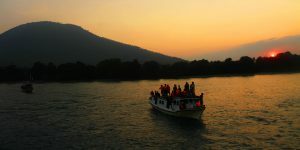 Indeed, Krakatau mountain is actually a beautiful tour area with vary lakes at the edge of the mountain. The lakes are Rakata, Panjang, and Sertung lake. Thus, the tracks along the Anak Krakatau mountain is sandy and pebbly. 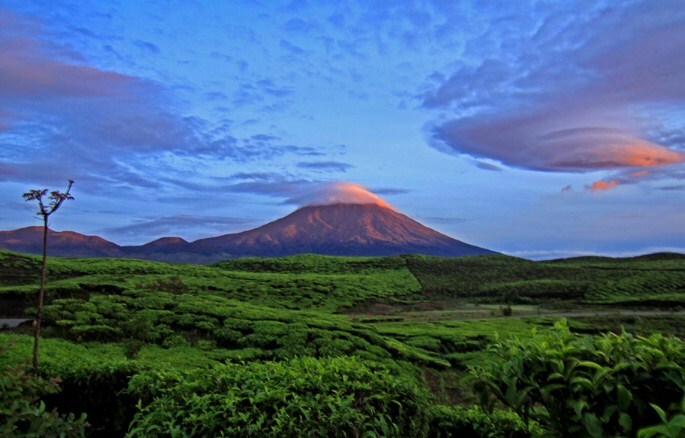 Kerinci is the highest mountain in Sumatra which is 3.805 meters above the sea level. Also, it is the highest volcano in Southeast Asia that is still active now. This mountain is the type of Strato Volcano and its last erupted in 2009. Meanwhile, Kerinci mountain has the best view ever with a crater a the top, it pleases you an amazing view. On the north, you can see the fresh water of Bento lake. Thus, there is only one track hiking started from Kersok Tup village to reach the peak of Kerinci mountain. Meanwhile, the peak of Kerinci mountain is called as Indrapura peak and the crater is still active with sulfur gas. From the top of the peak, you can see all complete view of the cities around such as Padang, Jambi, Bengkulu, and Hindia oceans. Thus, Kerinci mountain is absolutely beautiful. It is naturally beautiful from every shelters till the top of the peak. Indeed, you must be careful as this is an active volcano, the track is way too challenging, and there are wild fauna living around there. Sibanyak mountain is located in Brastagi, North Sumatra. 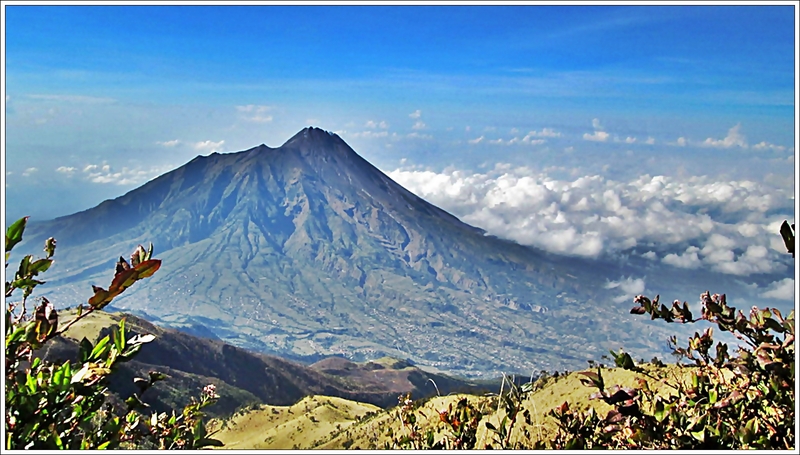 However, Sibayak mountain is the highest volcano in North Sumatra and it has challenging tracks full of rocks to hike. 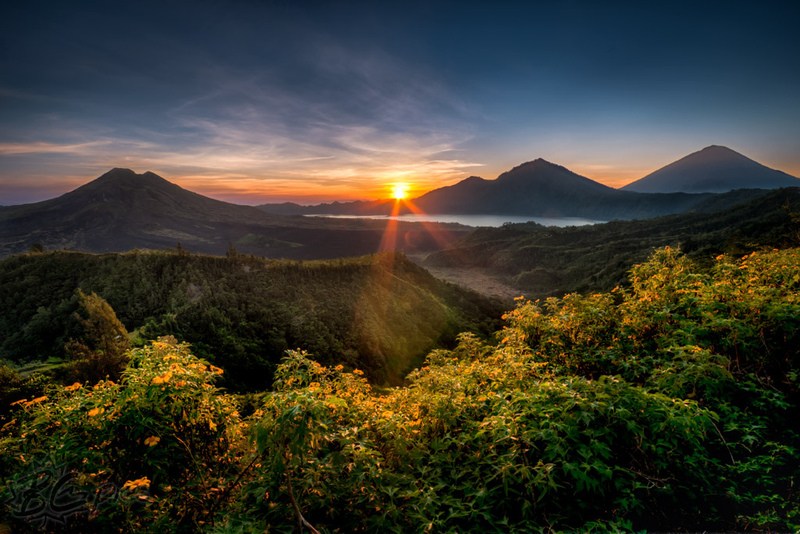 Thus, the best spot from Sibayak mountain is to see the magical sunrise in early morning. The view is totally beautiful from 2.212 height peak. Also, you can watch the sunset goes down in beautiful way from its peak. Moreover, Sibayak has the pure water source from its nature. It is so fresh and cold. Then, the package of beauty is all served in Sibayak scenery. Also, there is 40.000 meters crater with rocks and gas sulfur. Indeed, people come to Sibayak to hike with adrenaline as its trail is hard and a little bit danger. Meanwhile, Sibayak is worth to hike. Indeed, there are many mountains in Indonesia to hike and trekking too. Batur is an active volcano in Kintamani, Bali. Well, if you think Bali has only beaches, then you all wrong. Batur mountain is also the best destination in Bali. Indeed, it has 1.717 meters height above sea level. Meanwhile, Batur mountain has a thousand beauty of real nature. You only need about 2,5 hours to reach the peak, thus, the track is not that easy. The temperature is pretty cold to climb in and foggy. Indeed, Batur mountain is the best spot to watch sunrise in Bali highland. The peak of Batur explodes the beauty of Batur Lake and the magical view of Rinjani and Abang mountains from the back scenes. Meanwhile, Batur mountain is another alternative to enjoy Bali. If you think the beach is pretty busy and crowd, then Batur mountain is quite safe and sound. At the end, you will love it for sure. 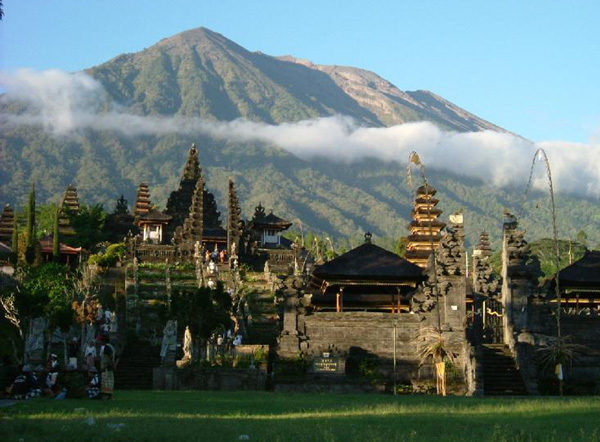 Agung mountain is the highest mountain in Bali, which is 3031 meters above the sea level. It is located in Rendang district, Bali. Meanwhile, Agung mountain is such sacred mountain. It is protected by Balinese where they believe that Agung mountain is the place where their Gods stay. That is why the climbers who want to hike the mountain need to guide by local resident. Indeed, there are three trails that you can start in which are Besakih temple, Pasar Agung temple, and Budakeling track. Then, it costs about 70 dollars or so per climbers group to register and climb the mountain. Also, Bali culture is so thick here. In several posts the tour guide will rest up to take a pray before they continue hiking the mountain. That is in order to get safe and protection from God. Once you reach the top of the peak, all you can see is beautiful nature. There are cliff rocks, slope, and fresh nature. Do you want to climbing Rinjani? 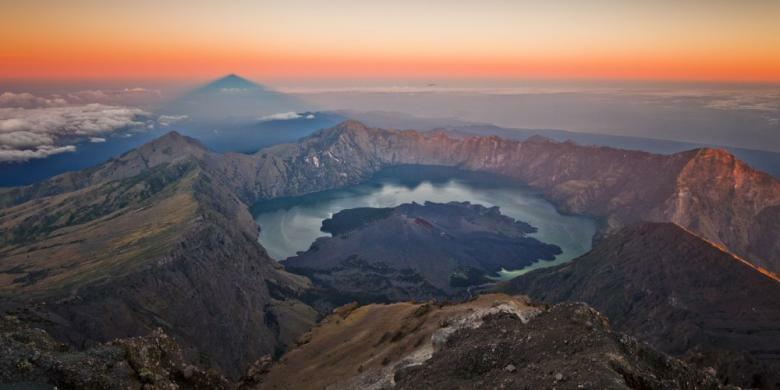 Rinjani trekking is the second highest volcano in Indonesia, by its height 3726 meters above sea level. Meanwhile, Rinjani is located in Lombok islandand it was last erupted in 2010. There are many tourists climb Rinjani as it has challenging tracks and beautiful view ever. Indeed, Rinjani is another heaven of Bali. Mount Rinjani trekking is the best track. Meanwhile, it has four tracks to hike which are Sembalun, Senaru, Timba Nuh, dan Torean. Indeed, the most favorite track is Sembalun track as it is easier to hike. Thus, you will pass beautiful savanna by Sembalun track. Then, there two posts where you can take a rest for a little while, but the whether is so heat if you climb during afternoon or so and there is no water sources. As another heaven of Bali, Rinjani is so exotic. It has beautiful time whether in morning, noon, or evening, The natural blue-green mountain and trees are perfectly enchanting. Mostly, if you watch the night sky in Rinjani you will never forget it for your whole life. 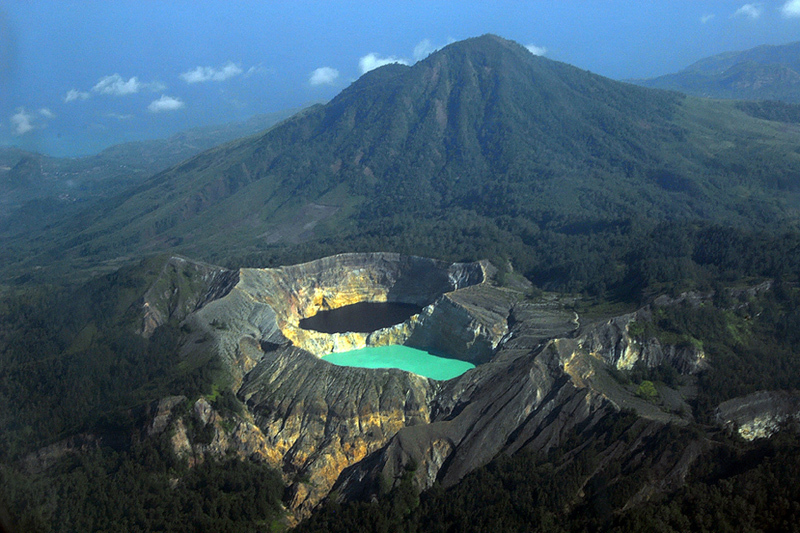 Kelimutu is the mountain located in Flores island. Meanwhile, Kelimutu is an area of approximately 1.051.000 meters and its height is 1639 meters above sea level. Thus, the beauty of Kelimutu is known in the whole world as it has three beautiful lakes from the last eruption. Indeed, the Three Colors Lakes has red, white, blue colors that is regularly changing time by time. Thus, to see the beauty of the lakes you have to climb uphill and steps hundred stairs. Once you reach the peak, you will watch the panorama of Kelimutu lakes from 360 degree panorama. This is just so beautiful. Also, it pleases you with sunrise view if you want to hike at morning around 4 am or so. As a result, Kelimutu is perfectly beutiful mountain to hike. Tambora mountain is located in Sumbawa island, West Nusa Tenggara. Meanwhile, Tambora is the type of active strato volcano with 2.850 meters height. Tambora is still rare to visit cause its hard track but it has absolutely beautiful view. Meanwhile, the last eruption in 1815 left mystery and history even now. Thus, there are three tracks that you can choose to start, there are Kawind Nae, Doropeti, and Pancasila village. Indeed, Pancasila village is the most favorite track as it has shorten mileage. Along the track is not easy to hike. You will pas uphill and slippery road, fallen trees, savanna, and rocks everywhere. 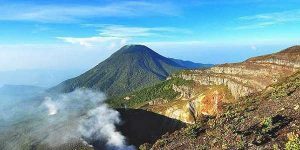 Indeed, the spot that people have been looking for is Tambora crater. Meanwhile, Tambora crater is popular as volcano-logy researches areas by local and foreign researchers. Once you reach the peak, you will learn new things about life that climbing Tambora mountain maybe the most thoughtful experience you have ever felt. Then, the beautiful nature from last eruption is just so wild beautiful. Indeed, Indonesia has all beautiful masterpiece of nature that you have to visit as soon as possible. Mountain in Indonesia are great and beautiful. Meanwhile, the mountains in Indonesia tracks are challenging but beautiful. Many tourists, domestic and foreign, been hiking in Indonesia mountains as it has challanging, perfect, and beautiful nature trail.